If last year has taught us anything, it’s that making predictions is an inexact science. There is much that has happened over the past 12 months that we would have been hard pressed to predict this time last year. The outcome of the Brexit vote in the UK caught many of my fellow citizens off guard, and I’ve heard from many of my American colleagues that they were similarly surprised by the results of their presidential election. 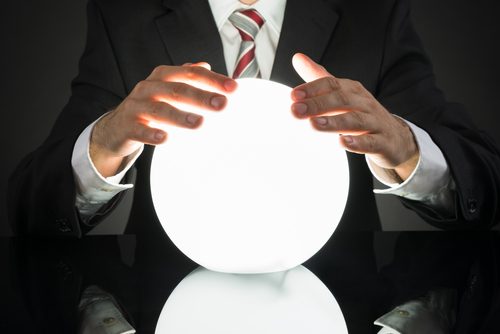 As a new year begins, the first thing we should predict is unpredictability. It is not a failure of planning to admit that we don’t always know what we’re planning for. Many factors will always be beyond our control; planning to make the best of any situation is just good business. Yet not everything will come out of left field in 2017. Companies are already planning for new finance regulations such as IFRS 15, which will be fully in force next year. Increased scrutiny on multinational companies’ tax arrangements, accounting and transparency, will all increase in 2017. And digital transformation will continue at an ever-accelerating pace; change will continue so rapidly that 12 months will be a very long time in any business. With that, here are my personal predictions for finance leaders and professionals in 2017. As it reaches the top of the innovation adoption curve, interest in cloud ERP will overtake on-premises systems. By default, any new ERP systems implemented, or old ones replaced, will be in the cloud. As my colleague Rudy Lukez loves to expound, cloud ERP can be every bit as addicting and exciting as the smart phones we all know so well. The mobile, social and analytical capabilities available in the cloud far surpass those in on-premises systems, and they are critical to the new global workforce. In particular, younger employees and their peers are educated in this type of environment and embrace these experiences as the new normal. This becomes critical to companies looking to attract bright, young talent. The days of on-premises software as the default—even for Finance—are over. AI, in particular, could emerge as a driving technological force in 2017, with even the C-suite affected by intelligent, predictive automation technologies. CEOs, as well as various line-of-business leaders, are already increasingly leaning on the CFO for insights, guidance and reassurance. CFOs therefore will become less focused on reporting and more focused on forward planning, risk analyses and making investment decisions. This trend will accelerate throughout 2017. CFOs will be at the heart of decisions shaping businesses and take on a role as true “co-pilot” with the CEO, with the finance team acting as a guidance system for sound decision-making. If number 4 is ever to happen, then a single data model for all finance data is absolutely essential. In fact, I would argue that a single data model for all business data is essential—not just finance, but HR, sales and marketing, supply chain, and other lines of business. Without a consistent data model across LOBs, it will be impossible to know whether the reams of data that the business generates are painting an accurate picture. And without confidence in the data, executive decision-making can go disastrously wrong. Data silos will increasingly become the enemies of accurate and successful decision making. There are five major trends affecting all industries and business segments: a global talent shortage, the rise of the robots, the accelerating disappearance of jobs due to automation, exponentially increasing customer expectations, and volatile business models. We are on the cusp of some highly disruptive technologies becoming mainstream, driving down operating costs through increased automation but also driving up the need for investment. If today’s companies are to survive, they must transform not only their operations, but their business models. Relying on the same products and services that you have sold over the past decade is no longer enough to ensure success. CEOs and CFOs must look for new opportunities and adopt the digital technologies that will allow them to expand into new lines of business. Shared services centers will re-emerge in importance in 2017, but they will take on a new role with broader offerings than the traditional Finance and HR functions. These might include previously siloed functions such as development (traditionally an IT function) or creative services (typically a Marketing function). As automation goes up and costs go down, the use of shared business centers will free up line-of-business leaders from the manual work that now consumes so much of their time (I can’t even count the number of hours I’ve spent building PowerPoint presentations) to focus on more strategic work. As my colleague Laurent Dechaux recently wrote, “Uncertainty does not stop opportunity.” In fact, it is the ideal proving ground for strategic movers. Some of today’s most successful companies launched in the wake of the 2008 financial crisis, jumping on technological shifts such as the birth of the smart phone, as well as the changing consumer habits that accompanied those shifts. A similar opportunity presents itself now, as we stand on the brink of unprecedented change. For those CFOs who have been waiting for the right moment to prove their strategic value to the business, 2017 might very well be their year.